Hey Guys! 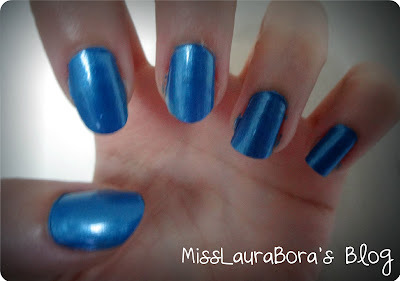 This is just a small post about the O.P.I nail lacquer that I got last week in the duty free. I really like O.P.I’s nail lacquers and now have two, even though they are fairly expensive at around €12, they make up for it in their quality and don’t chip as often as cheaper nail polishes. I really love Dining Al Frisco, it’s a gorgeous cerulean colour that’s very pretty and shimmery. I think this is a colour that I will be wearing a lot from now on. Next Post If Your House Was On Fire, What Would You Save?